I like the natural way of helping with my brain fog. This seems to help, I put it in my coffee in the am and it isn't even noticeable as far as taste goes. I love this Dr. 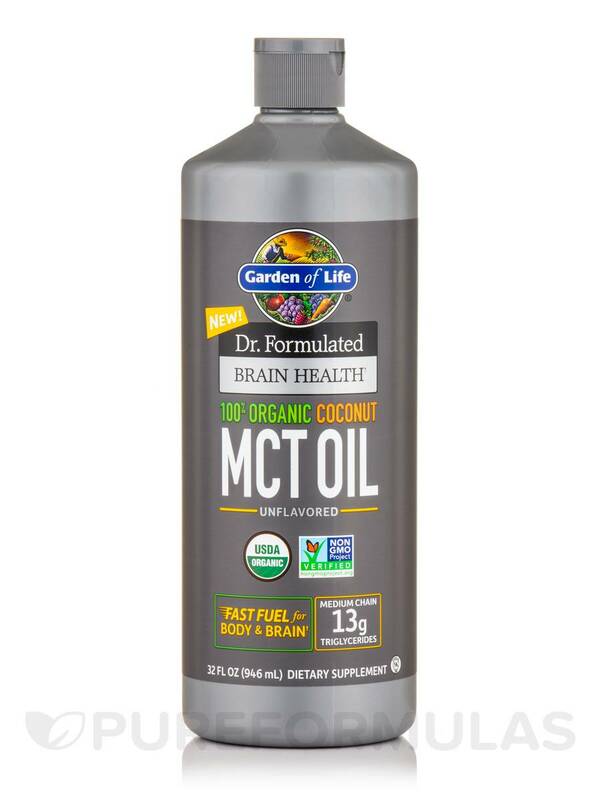 Formulated Brain Health 100% Organic Coconut MCT Oil, Unflavored by Garden of Life because there's no fillers; just organic MCT oil in a bpa-free container. Fast Fuel for Body and Brain! 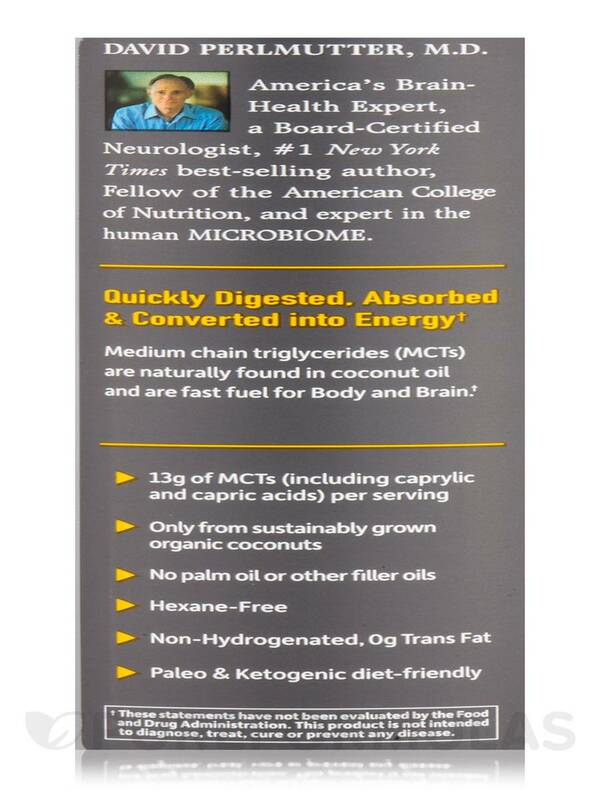 Medium chain triglycerides (MCTs) are naturally found in coconut oil and are fast fuel for body and brain. 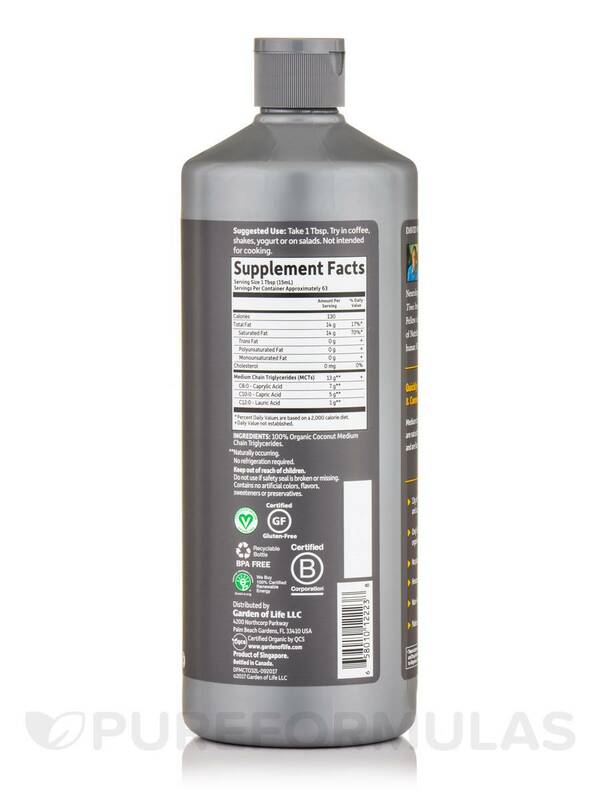 - 13 grams of MCTs (Including caprylic and capric acids) per serving. - Only from sustainably grown organic coconuts. 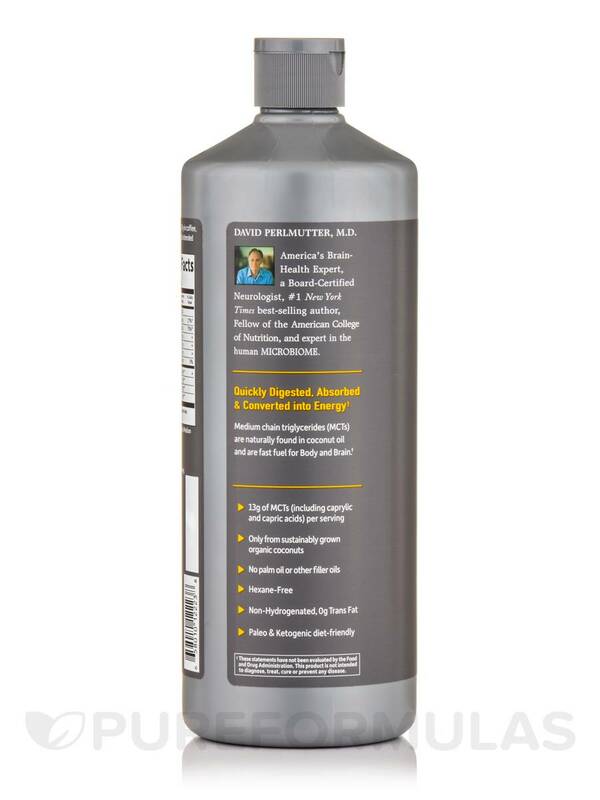 - No palm oil or other filler oils. - Non-Hydrogenated‚ 0g Trans Fat. - Paleo & Ketogenic diet-friendly. Contains no artificial colors‚ flavors‚ sweeteners or preservatives. USDA Organic / Non-GMO Project Verified / Gluten-Free / Vegan / Vegetarian / BPA-Free. Take 1 tablespoon. Try in coffee‚ shakes‚ yogurt or on salads. I can remember things more readily. Easy to pour in my coffee. Glad this Dr. 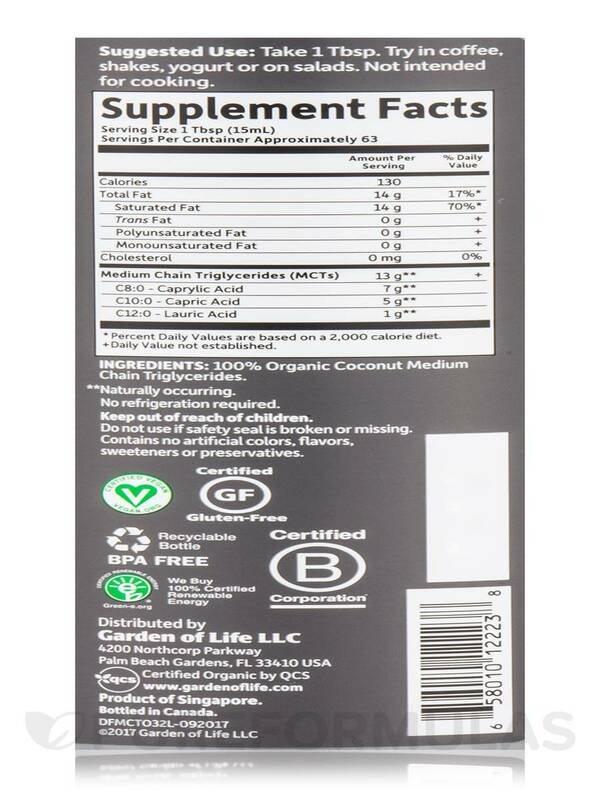 Formulated Brain Health 100% Organic Coconut MCT Oil, Unflavored by Garden of Life is organic. Went down very easy! Take it every day! No taste - easy to add to smoothies & other drinks. Pouring from the container can get a little messy.